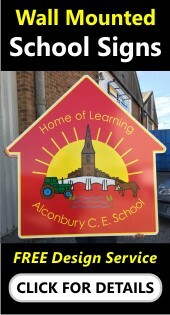 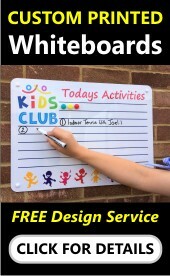 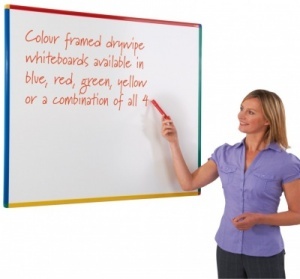 Keycolour is a colourful range of non-magnetic drywipe whiteboards - Being double sided with one side plain and the reverse with a printed feint grid. 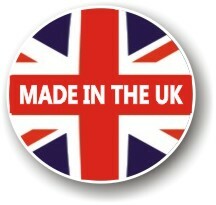 Keycolour has a powder coated aluminium frame in a choice of Blue, Red, Green, Yellow or Multicoloured with one colour on each edge. 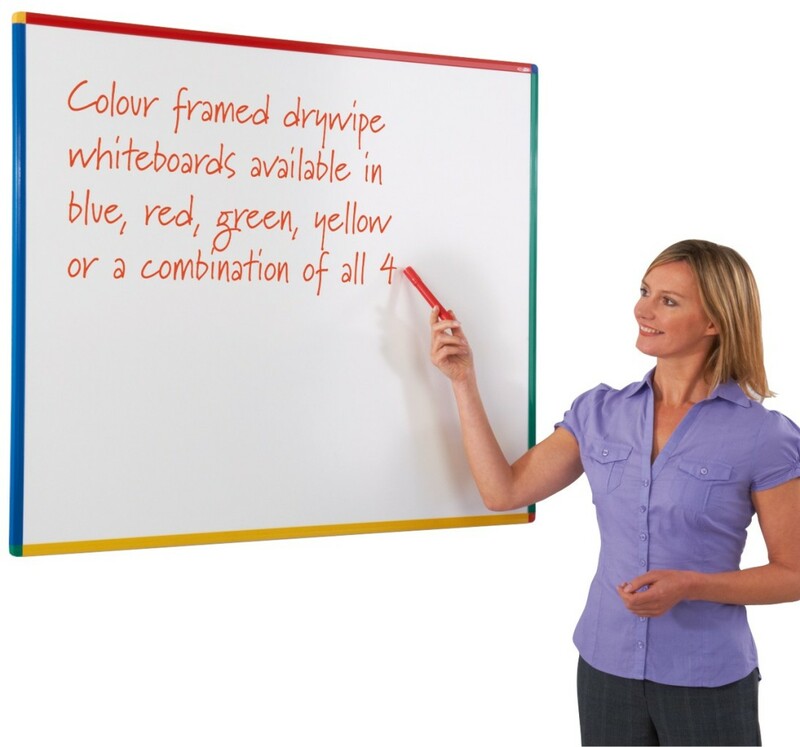 The Keycolour drywipe whiteboard comes with rounded safety corners, concealed corner fixings and a pen tray.